A gas furnace can be a great option for families looking to save money on their heating bills. Many of these furnaces are highly efficient and will pay for their installation within a few years. 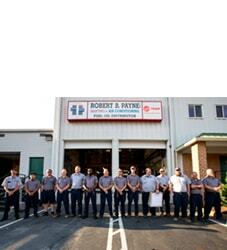 At Robert B. Payne, Inc., we’re committed to making your gas furnace installation as simple as it can be. In addition, we’ll continue to assist you with maintenance and repairs as the years go by. The heat that comes from a gas furnace is even and steady, making it easy to keep rooms cozy and livable during the chilly winter months. Compared with other types of furnaces, they generate heat quickly once they’re turned on. Given their amazing capacity to keep a room warm, you might think that they waste significant amounts of energy. In fact, these furnaces are quite energy-efficient, and use less fuel overall to keep the air up to a comfortable temperature. Gas burns cleanly, so a gas furnace is much better for the environment than an oil furnace. As these types of furnaces become more sophisticated, they’re becoming a much better choice for keeping carbon emissions down. We take pride in offering some of the most fuel-efficient and environmentally friendly furnaces that you’ll find on the market today. In addition to their efficiency and superb heating capacity, these furnaces are quite durable. Once installed, they’re meant to last for decades. Compared to electric heat pumps and other similar appliances, gas furnaces have very long life spans. By installing this type of heating system in your home, you can save significant amounts of money on repairs, replacements and maintenance. In addition, the fuel needed to keep the furnace going is less expensive than other types of fuel. The majority of modern furnaces, no matter how they are powered in your home, were designed to be especially safe during high usage periods. Thanks to updated furnace technology and built-in features, all heating systems are safe to run regularly. When it comes to electric versus gas, both were crafted with safety in mind. There are some factors that play into their levels of safety, however. An electric furnace does not burn any fuel, so it will not have the same problems as a gas-powered furnace. The risks that stem from using an electric furnace include short circuiting and electrical fires. Thankfully, with the help of a professional, a proper installation and regular maintenance routine can effectively reduce the risk of either one ever happening. As for a gas furnace, the largest threat a home or business owner will face is carbon monoxide, which can be quite deadly in heavy doses. It is quite rare for a furnace to release carbon monoxide into the air or for a leak to occur, though. 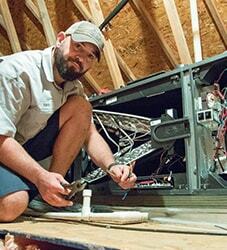 Just like with an electric furnace, maintenance and proper installation methods will prevent any such issues. 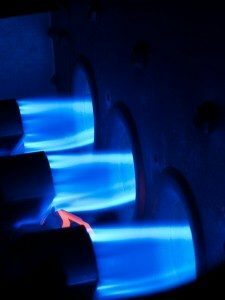 Contact us today to learn more about the types of furnaces we have available. If you would like us to take a look at your indoor spaces to determine whether a gas furnace would be right for your household, we’d be happy to do that. Our aim is to provide you with the most convenient and cost-efficient heating system possible. 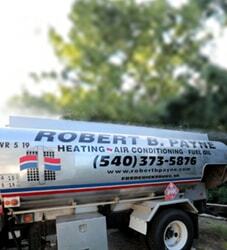 Contact us online or call us at (540) 373-5876 to schedule an appointment for a gas furnace installation.